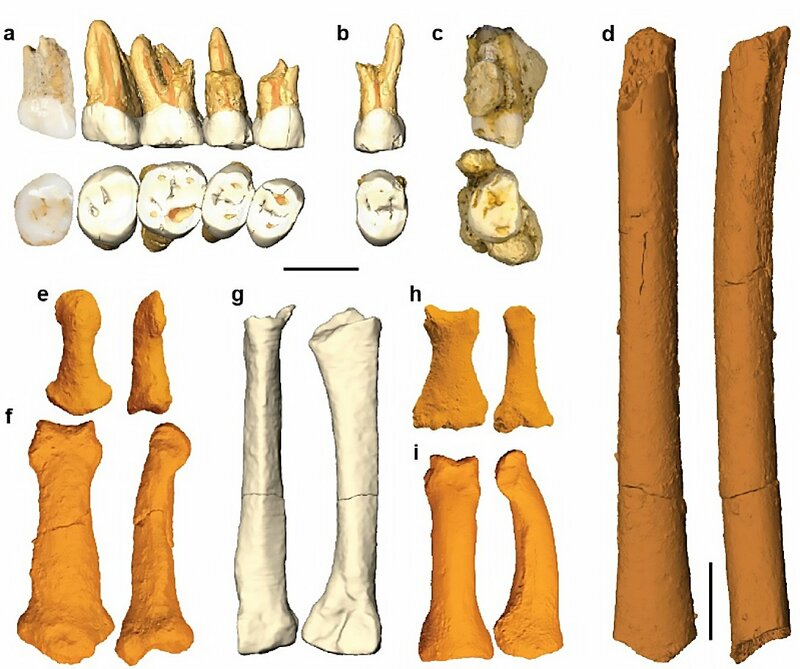 Mijares said the hominin fossils and teeth are from at least three individuals, nicknamed Ubag after a mythical cave man, that were excavated in 2007, 2011 and 2015. He and the members of his team, paleoanthropologist Florent Détroit of the Muséum national d’Histoire naturelle, zooarchaeologist Philip Piper of Australian National University, and geochronologist Rainer Grün of Griffith University, dug up the hominin fossils from a sedimentary level located three meters below the current surface of the cave floor. Uranium-series (u-series) dating, which is a method used to calculate age via the radioactive decay of uranium, determined the fossils to be 50-67,000 years old. 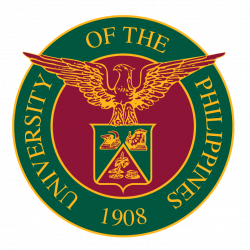 These would make them the earliest human remains to be discovered in the Philippines, predating even the Homo sapiens found on Palawan island to the south estimated at 30-40,000 years. The species was first described by Mijares and his team in a 2010 article through a single metatarsal bone. Comparative analyses via 3-dimensional imaging methods and geometric morphometrics showed that Homo luzonensis had a mix of primitive features resembling Australopithecus and more modern ones closer to Homo sapiens. This singular combination of traits distinguishes it from other representatives of the genus Homo, especially its contemporaries known in Southeast Asia like Homo floresiensis, which was discovered in Indonesia in 2004. 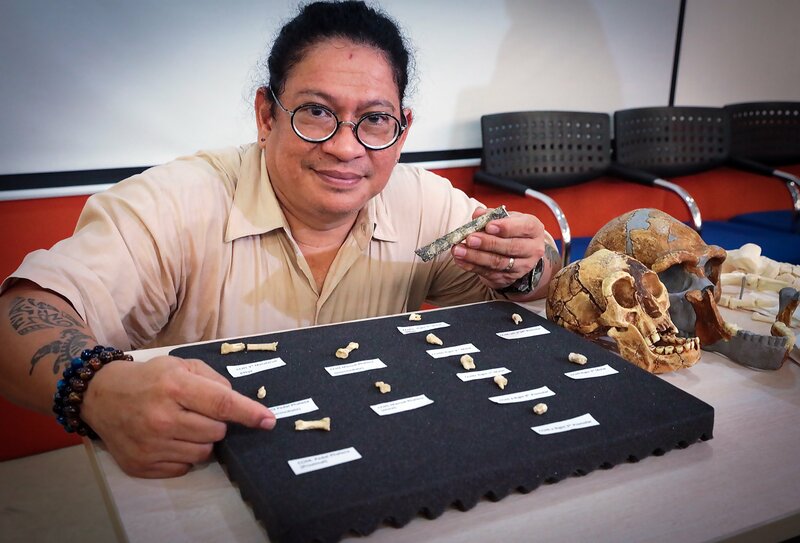 Prof. Armand Salvador Mijares explains the unique anatomy of Homo luzonensis at a press conference at the UP College of Science Auditorium. Photo by Misael Bacani, UP MPRO. Luzon, which is the largest island in the Philippines, was not known to be accessible by foot during the Quaternary period (around 2.588 million years ago to present) and is known for its high rate of endemism. Discovered anthropogenic elements such as stone tools and the remains of animals, including nearly a complete rhinoceros with clear marks of butchery in the Kalinga, are evidence that hominines were present on the island for at least 700,000 years ago. Like Homo floresiensis, which was nicknamed “hobbit” by the scientific community, Homo luzonensis probably represents another species of the genus Homo that evolved under the effects of insular endemism, while being unique. Where it came from and how it got here remain largely a mystery, but its presence highlights the complexity and diversity of hominine migrations and the evolutionary history in the islands of Southeast Asia. 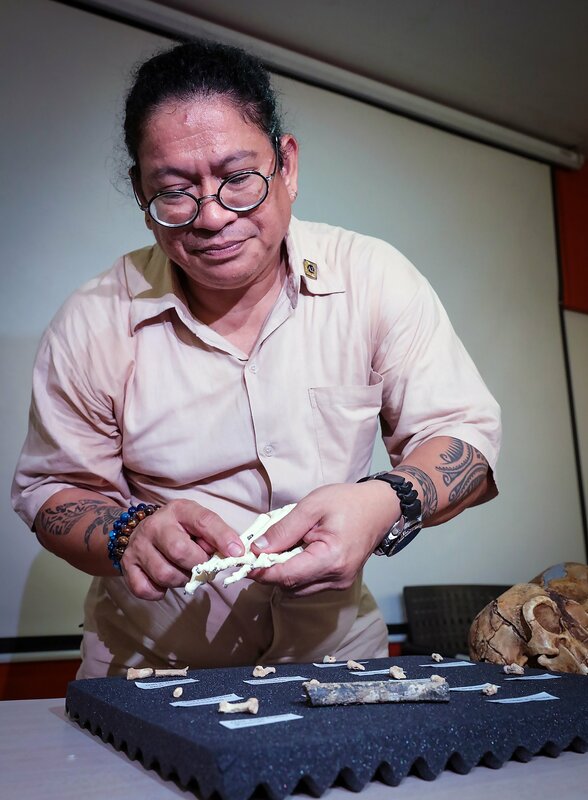 The project that led to the discovery of Homo luzonensis was funded by the Wenner-Gren Foundation, the Leakey Foundation Research Grant, and the University of the Philippines via the Enhanced Creative Work and Research Grant in cooperation with the National Museum of the Philippines, the Cagayan Provincial Government, and the Protected Area Management Board-Peñablanca.